Cheez Balls are back by popular demand, but they're not the first cult classic to make a return. Here are some of the most famous snacks to be resurrected. Just as Snooki made a triumphant return to reality television, another famous orange relic of a bygone decade is being resurrected this summer. The Kraft Heinz Co. (KHC - Get Report) announced Tuesday that its Planters brand is bringing back famous 1990s hits Cheez Balls and Cheez Curls for a limited time this summer. The decision was precipitated by popular demand after the Cheez snacks were yanked from shelves in 2006. Planters and Kraft Heinz announced that the snacks will be available on Amazon.com Inc. (AMZN - Get Report) and online from Walmart Inc. (WMT - Get Report) as of July 1, and more stores will soon stock the orange salty nibbles. "We heard many impassioned pleas for us to bring Cheez Balls and Cheez Curls back over the years and we wanted to give our fans a chance to reunite with their most-missed cheesy snack," Planters brand building head Melanie Huet said. "We made sure out Cheez Balls and Cheez Curls still have the same delicious taste, airy texture and fluorescent color you know and love, so out fans can enjoy a nostalgic trip down memory lane with every canister." Cheez Balls aren't the first major food and drink resurrection to take place following years off the shelves. The Coca-Cola Co. (KO - Get Report) relaunched its Surge citrus-flavored soda as an Amazon exclusive in 2014 before re-releasing everywhere a year later. The soda was created in 1997 but was taken off shelves in 2003 due to lagging demand. General Mills Inc. (GIS - Get Report) brought back its sugary-sweet French Toast Crunch cereal in 2015 after nine years off the market. McDonald's Corp. (MCD - Get Report) arguably touts the most famous release, pull, re-release of all time in its McRib sandwich. The McRib launched in 1982 and was subsequently pulled from menus on 1985. Every handful of years or so, the sandwich reappears on menus, sometimes for a farewell tour and many times in limited release. Its storied past and limited supply have made the McRib into something of a cult classic. Burger King, owned by Restaurant Brands International Inc. (QSR - Get Report) , was raked over the coals after removing its Chicken Fries from menus in 2012. After a public outcry, Burger King brought the item back in 2014. 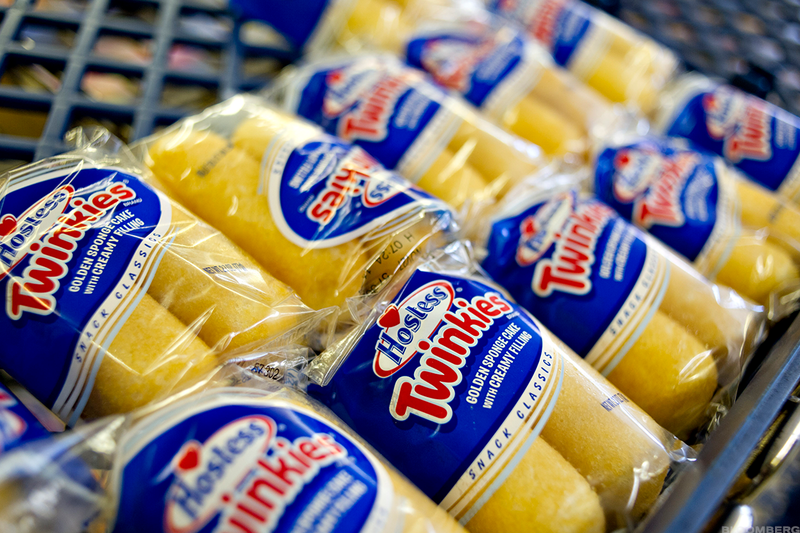 Hostess Brands filed for Chapter 11 bankruptcy in 2012, leaving the fate of famous snacks including Twinkies and Ding Dongs hanging in the balance. The supply of cult favorites like Twinkies shrank fast, resulting in packs of the crème-filled staple selling for thousands of dollars online. When private equity firms Apollo Group Management and Metropoulos & Co. stepped in with an eleventh-hour purchase, the snacks were deemed safe and brought back to shelves. But one major question remains: When will we get back our Dunkaroos?